Marching across the landscapes of a destroyed Cosmodrome, carefully picking off members of the Fallen with head shots from my hand cannon, making my way to the 20th Walker I plan to destroy this week, I find myself in a zen-like state of gaming I don't get to enjoy too often these days. It occurs to me, as I work towards completing yet another stack of bounties for the Awoken Queen, that this game is a fine MMO, one that keeps pulling me back in for more on a regular basis. In the weeks following Destiny's release, reading through the dozens of reviews that have since popped up, I can't help but wonder if the game was given a fair shake. I'd never argue with someone's opinion. In fact, I completely agree with a lot of the comments made against Destiny by a vocal majority. The narrative was bare bones, some of the voice acting was lackluster or, in the case of every character other than the Ghost, completely underused, and even though the game is set in a world that's supposed to be bustling with activity, it manages to feel extremely hollow at times. But the experience I'm having with Destiny doesn't seem to line up with a lot of what I've read in critical coverage, most of which hit the internet within days of the game being released. That's an important factor, and one I'll dive into a bit more momentarily. Far be it for me to put words into anyone's mouth, but I suspect a lot of people went into Destiny expecting something it's not meant to be. Coming from a team like Bungie (who admittedly could have done a better job of letting folks know what they were in store for leading up to launch) I think a lot of folks went in expecting the next air-tight, excruciatingly orchestrated first-person shooter boasting an operatic plot that would make your head spin with wonder. I don't think that was ever the intention for Destiny. And while I knock the game's promotion for being too hyperbolic without explaining what all of those vague, grand statements about the game actually meant, I somehow managed to go in expecting exactly what I got: The beginnings of a shooter MMO, full of promise, likely to keep folks playing for years to come. I have a kind of silly rule when it comes to first-person shooters these days: I don't buy them. That's not to say that the genre isn't packed with standout games worth every penny of the asking price. The problem actually lies in me, the player. I simply don't get out of shooters what I used to anymore. And while most campaigns are good for a few evenings of fun, I can never seem to stay invested in the multiplayer for more than a week. I hit a point where I realize I could be playing some other new hotness or perhaps take a bite out of the backlog, and I move on. When I first heard about Destiny, it looked like just another by the numbers sci-fi shooter from a team that admittedly nails that formula quite nicely. But given my inability to stay hooked on a shooter these days, I paid it very little attention leading up to launch. Then I got to talking with my colleague, Katy Goodman, and she encouraged me to do a bit of homework. I'm glad I did. I quickly discovered that Destiny wasn't going to be your average shooter, with a quick story and a smattering of typical online modes like team death match, zone control, etc. Those things are in the game, sure, but Bungie looked to be bolting those familiar genre tropes onto a framework that has never really been tried before. I understood very quickly that Destiny was going to be a game about evolution, one that aimed to keep players invested for the long haul by offering an ever-changing crop of content to take part in. Maybe it's because I had recently been pouring hours upon hours into Final Fantasy XIV, an MMO that's about as MMO as you can get, but Destiny's structure has settled in quite nicely with me. I went in expecting only the beginning of a long-running story, and that's what I got. I went in expecting large maps that serve as hubs for the missions to be carried out on, and that's what I got. I expected loot, party forming, raids, PvP and PvE activities, NPCs that dole out missions galore and, yes, I even went in expecting the grind. I knocked Bungie earlier for not promoting the game as well as they could have but, then again, I went in expecting exactly what was delivered. That doesn't seem to be the case for everyone. I feel like many were hoping for an evolution of Halo and (while I'd argue that's exactly what they got) what was delivered was perhaps too far removed from what they had been daydreaming about. Much like FFXIV before it, Destiny doesn't feel like a finished game because it's nowhere near finished. It's a skeleton for what's to come and, from how many hours I've already poured into the game, it also happens to be a skeleton with a hell of a lot of meat on its bones. Bungie also warned that folks should be wary of early criticism of the game, which I'll admit sent up a red flag for me initially. A few weeks into playing the game, though, and I now see exactly what they meant. The game I'm playing today is not the game I was playing three weeks ago. Nor is it the same game I'll be playing in three more weeks, or once that first batch of DLC hits in December. 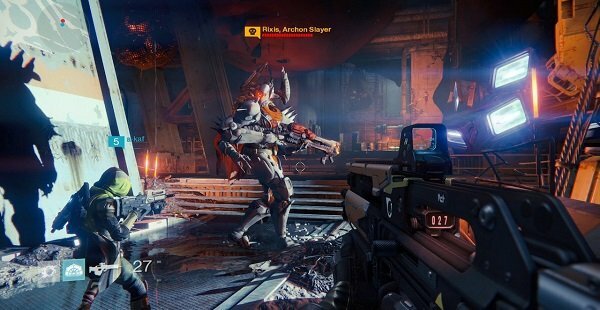 Outside of the promise of new story missions and the like, Destiny is once again similar to an MMO in the way that its world and objectives continue to change. Outside of the ridiculous number of things you can already sink time into within the game proper, new events and challenges are constantly popping up. One week, a new PvP mode might arrive with a unique set of rules for players to enjoy. The next week, the Awoken Queen might visit the Tower with a whole bunch of new bounties and missions for you to tackle, all of which build toward a unique set of rewards for those who feel like chasing them down. These are experiences that nobody had within the first week of play, which are tacked onto the end-game content that you never really get to explore until well after the credits roll. 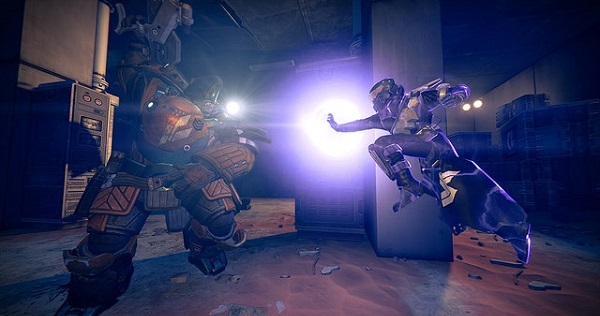 It was two weeks before Bungie unlocked the game's first major raid, the Vault of Glass, which turned out to be a tough-as-nails, long-winded challenge that's delighted thousands of higher-tier players. To put it bluntly, I don't feel like Destiny was given a fair shake out of the gate. It's an impressive game that, while flawed in many ways, continues to deliver clever little hooks that have kept me glued to the game far longer than any shooter has in the past decade. I appreciate that there's plenty of things to do solo after the campaign is finished, because sometimes all I want to do is run around a big map, shoot baddies in the face and collect resources. For the days when I want to play with my fellow Guardians, there are several ways to team up and hit the open world, specific missions or raids as a team. If I want to shoot it out with other human beings, there's ways to do that, too. On top of all of that, there are all of these new events popping up on a regular basis, giving me yet another prong of the Destiny wheel to explore. If I don't enjoy it, I know another prong will appear in a week or so. Similar to my “review in progress” for Final Fantasy XIV, I think Destiny is a game that is going to take a long time to fully get a grasp on. Once that first batch of DLC launches, and we've experienced another two months of ever-changing in-game events, I think we'll have a better feel for the road ahead. Until then, I can't personally fathom giving the game a proper assessment, a score that carries far more weight these days than it has any right to. That's not to say I fault those that have already flooded the internet, even those that came out so quickly following the game's launch. Readers want to know what folks think about a game and we can't be expected to play for a year before giving an opinion. Destiny was taken at its face value and the criticism for that initial experience was absolutely valid. I'd just be curious to hear what folks think about the game now that we've gotten a better taste for what Destiny truly has to offer.